This is study No. 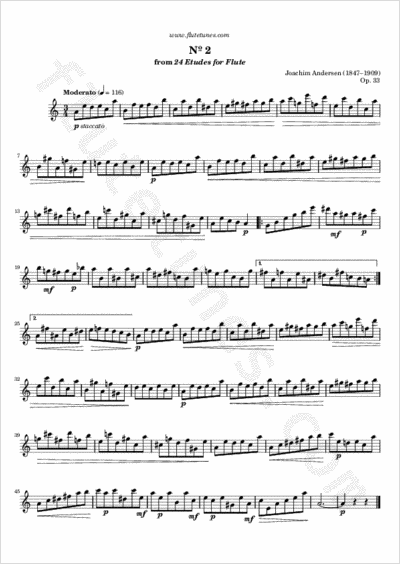 2 from Joachim Andersen's Twenty-Four Etudes for Flute, Op. 33. To be played with very clear articulation.